NEW THIS THIS WEBSITE? OR CURIOUS ABOUT WHAT IS HAPPENING IN 2019? The largest infestation of Japanese beetles ever found in the state was detected in 2016 in the area of Cedar Mill, Bonny Slope, Oak Hills, and Bethany of Washington County in Oregon. We have a unique and brief window of opportunity to ensure the population does not become established in Oregon. Failure to eradicate the current population will result in a widespread destructive population that will be impossible to stop from ultimately spreading throughout the western United States. 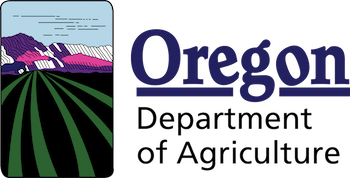 Japanese beetle is a threat to agricultural crops, gardens, public parks, and urban forests that are essential to Oregon’s character, economy, landscape, and way of life. We’ve made some changes based on feedback to increase the usability of this site. Can’t find what you’re looking for? Please let us know.